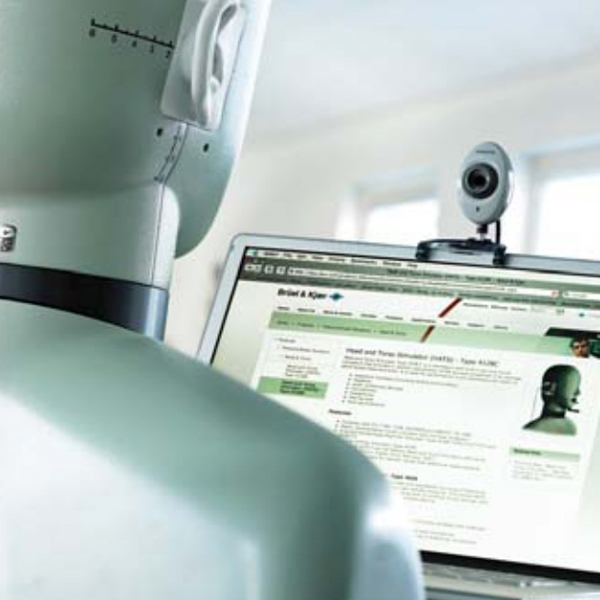 Head and Torso Simulators Types 4128-C and D are mannequins with built-in mouth simulators and calibrated ear simulators (according to IEC 60318–4/ITU-T Rec. P.57 Type 3.3) that provide realistic reproduction of the acoustic properties of an average adult human head and torso. They are ideal for performing in-situ electroacoustic tests on, for example, telephone handsets (including mobile and cordless), headsets, audio conference devices, microphones, headphones, hearing aids and hearing protectors. Handset Positioner Type 4606, with pressure/force and position read-outs, allows accurate, repeatable mounting of telephone handsets on HATS in both standardised and user-defined positions. This makes HATS into a state-of-the-art telephone test rig for measurement according to ITU-T recommendations.